ASHTON LOVING LIFE IN TOULON was posted on November 23rd, 2017 at 1.18pm and is filed under Sports..
Having seen his international career falter for a number of different reasons, the 30-year-old took the decision to quit England’s shores for warmer, and more lucrative, climes ahead of the new season. Settling in amongst a host of world class talent at Toulon, it was wondered if Ashton could continue his try-scoring prowess with some of the biggest and best names in the business. Nine matches into the season and the answer is a resounding yes. Following his hat-trick of touch downs at the weekend against Agen in the Top 14, the Englishman now has nine tries to his name. With only Montpellier’s Nemani Nadolo having scored more (10), it is clear that life in France suits the dynamic back. Now, with the November Test series upon us and England set to face Argentina, Australia and Samoa, head coach Eddie Jones could certainly do with the in-form and fit Ashton. With Jonny May ruled out and Elliot Daly only just back from injury, Ashton would be the perfect back-line tonic England need ahead of their three Test matches. 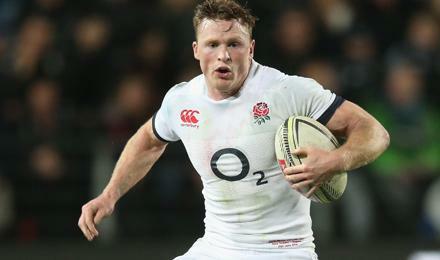 Given the RFU’s refusal to select England players plying their trade outside of the England, the player became surplus to requirements. This was a reality that was accepted by the Englishman when he left for Toulon. Having been in and out the England set up due to questions over his defensive capabilities, he decided to shelve his international ambitions this season when he signed a lucrative three-year deal with the French giants. Three months into his first term in the south of France, however, and it is fair to say that things could not be going any better for the explosive back. Afforded ample opportunity to showcase his running and evasive abilities in the French league, the 39-capped Englishman is clearly well suited to the Top 14.